How to make flour tortillas. These are so easy to make, just about as easy as the homemade corn tortillas. However these are not gluten free so beware if you have gluten intolerance. 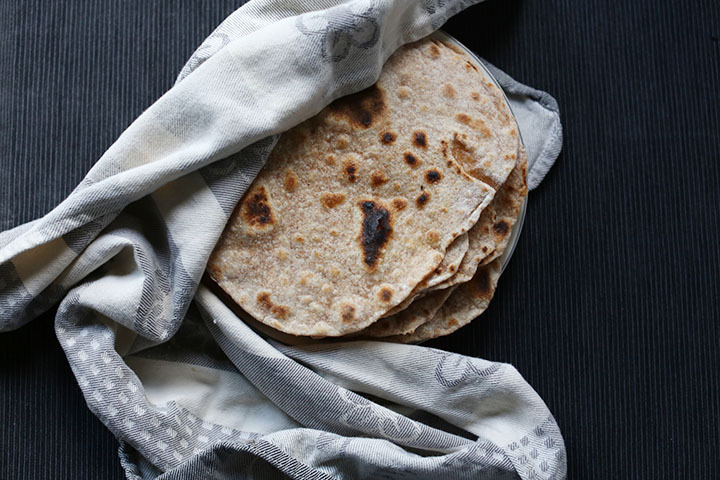 Are you ready to how to make tortilla wraps? Let’s get started! When I buy store bought tortillas I am always amazed at how they almost always have the same size, coloring and taste. Every tortilla is exactly the same, which is impossible with these homemade ones. Just like with all homemade recipes it will taste different every time but that just add to the charm of cooking I think. Homemade flour tortillas are very versatile and can be used in many different ways. 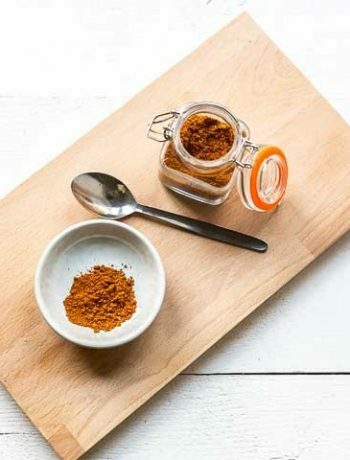 They are the base of the Mexican kitchen but they are also used in a lot of other South American countries. 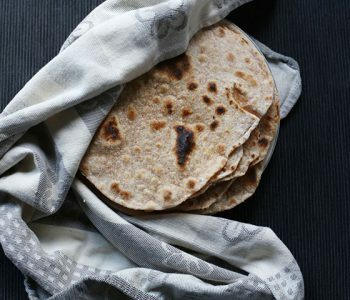 This tortilla wrap recipe is made with organic spelt flour as they have a nice taste but any white or whole wheat flour will do just nicely. 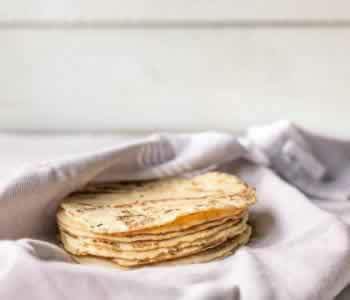 If you want to learn more about all the different types of tortillas and flatbread take a look at my How to make tortillas the ultimate guide. As with the corn tortillas start with quality flour, salt, warm water and the 4th ingredient is a little oil. Use good quality olive oil but vegetable or sunflower oil also work really well. 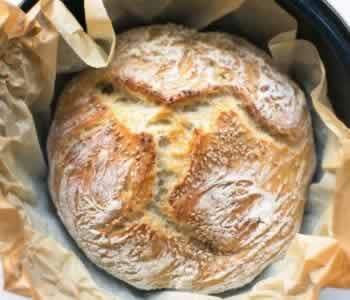 Knead the dough thoroughly and let it rest for at least 30 minutes or longer. Then split the dough in smaller dough balls the size of a golf ball. This recipe yields about 8 homemade Mexican flour tortillas so make 8 dough balls. 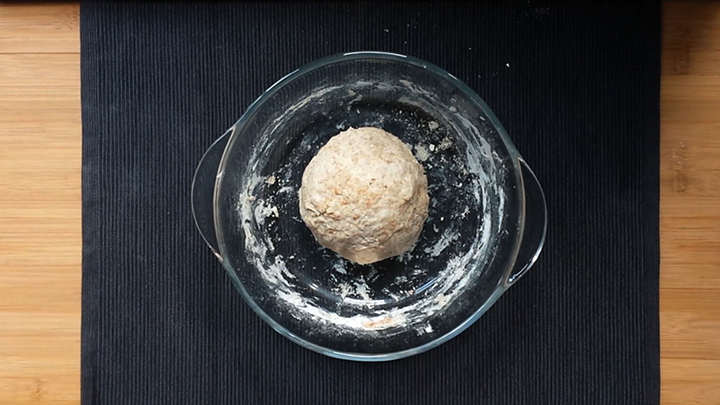 Roll a dough ball with a rolling pin on a floured surface in a round shape. If you want to have them all the same size you can take a lid and cut away the excess dough or use a tortilla press. When you use a tortilla press and want really thin tortillas, you still need to roll them with a rolling pin as the dough is more elastic than the dough for corn tortillas and more likely to spring back. Bake the flour tortillas in a dry skillet or pan on medium to high heat. As a soon as the tortilla starts to puffs up turn and bake the other side. Again wait until the tortilla puffs up and brown spots become visible the flour tortilla is done. It takes about 1 minute to cook per each side before a tortilla is done and ready to serve or be stored. 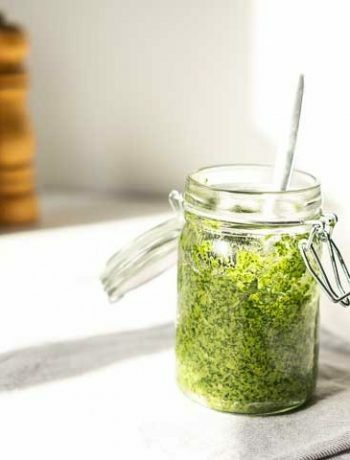 When making homemade wraps you can choose to make the dough by hand or with a kitchen machine. When making the tortilla dough by hand you need a little more time. Put all the ingredients in a mixing bowl and mix the ingredients. When a dough comes together transfer the dough to a cutting board or a flour covered kitchen counter and knead the dough by hand. It makes a consistent and elastic dough but still a little rustic as it requires more kneading by hand compared to a kitchen machine. Let it rest and knead the dough once more before you start rolling the tortillas. If you have a kitchen machine I would recommend making the dough with it. It is more cleaning but the dough is much more flexible and elastic compared to making the dough by hand. If you do not own a kitchen machine you can still get an amazing dough it will just take a little more time and manual labor to make your dough. You can make your tortillas with a number of fat sources like lard, shortening or oil. According to traditional tortilla recipes it should contain lard as the source for fat when making tortillas. It results in ultra soft, tasty and thin tortillas. However if you are vegan the use of lard is not an option as it is made from animal fat. There are a number of types of lard hydrogen, back lard and leaf lard. The leaf lard has the most neutral flavor. Another down side of lard is that it is not as widely available as shortening or oil. Shortening like oil is a plant based product. It has a similar consistency as lard or butter and is solid at room temperature. As with lard you get a very soft, elastic dough when use vegetable shortening in your dough. Is more widely available compared to lard. If you are vegan you can use shortening in your tortillas. Olive oil is also a plant based ingredient. It works really well in tortilla dough. It isn’t solid so it is easier to combine in a dough then lard or shortening. Although traditionalist may say that tortillas made with oil are not really tortillas. One of the most important steps when making tortillas is resting the dough. It gives the gluten time to activate. If you do not let the dough rest long enough and start rolling the tortilla it will most likely spring back and not hold its shape. So it is really important to let your dough rest. To see if it has rested long enough, roll a tortilla if it springs back let the dough rest some more. It is possible that due to circumstances (room temperature, humidity, etc) your dough doesn’t always responds the same. So it is possible that sometimes your dough is to wet or to dry. Adjust your dough accordingly. 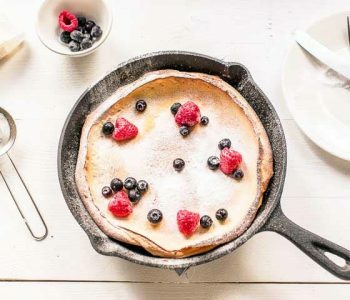 Have fun with this how to cook flour tortillas recipe! If you make any my recipes tag @thetortillachannel on Instagram or PIN on Pinterest. Want to learn how to make flour tortillas yourself? 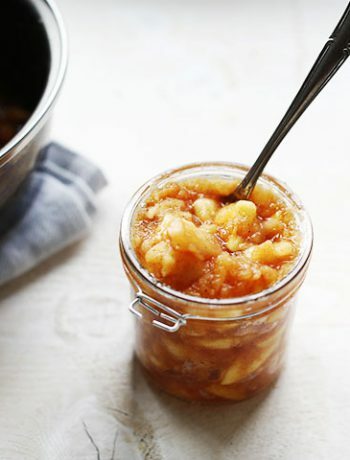 In this recipe I'll show how easy it is in simple steps. A video is includes to follow along. Thank you so much! I made them today and they are delicious and so easy to prepare! I will do them often! You are welcome and so nice to hear you have made these today and find them easy to make and delicious. Have great day.